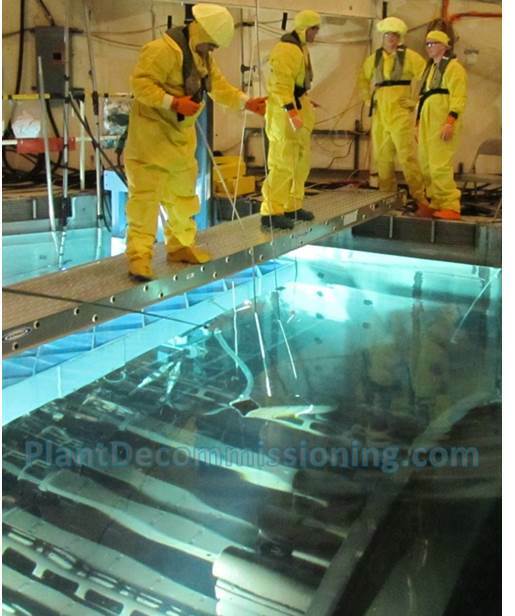 PlantDecommissioning.com (PD) is currently the leader in USA companies in the design and fabrication of remote machines and tools to perform the segmentation of large irradiated nuclear components. This would include size reduction of Reactor Pressure Vessels, Reactor Vessel Internals, and Steam Generators. Our PD group, taking D&D operating experience from the early 1980's, designed and built the remote Reactor Vessel Internals (RVI) segmentation machines used for the Zion decommissioning project. 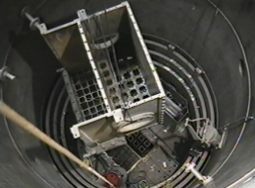 Our unique Reactor Vessel (RV) segmentation approach is in use at the Humboldt Bay decommissioning project and is being done by machines conceived and fabricated by PD. The tools and machines we have designed have been used successfully in nuclear facilities around the world since the early 1980's. Our designers and project managers have been key parts of teams that have taken on some of the most difficult tasks in the nuclear industry. From the early underwater Thermal Shield repairs in the 1980's to the recent dry segmentation of highly irradiated reactor internals, our people have been there. With our background it seemed logical for us to make a concentrated effort at being the specialists for decommissioning nuclear reactors and other large nuclear components. Unlike others that are now jumping into the decommissioning market, the PD group never left it. Besides our outstanding nuclear resume, we have the advantage of being a small company. This allows us to move faster, cheaper, and more efficiently than a large company. Our designers get out of their offices and work hands-on with their machines. Our Segmentation and Packaging Plan authors have been field Project Managers. We know of no other company (large or small) that can offer all of this for you. Experts in dismantling and decommissioning of nuclear reactors. Our staff can supply you a Segmentation and Packaging Plan, specify the required tools, design the tools based on lessons learned, fabricate these tools, test these tools on our mockups, and train your technicians or ours. All this can be done in our Chicago facility. If what you require is outside of our comfort zone, we will set you up with one of the specialists in our network. With our experience we have worked with most of the groups and people in the D&D industry. There is no need for you to take unnecessary risks; our experience can be a resource on your project. Because our team members have been involved (design, planning, management) in several reactor internals segmentation's and nuclear reactor decommissioning projects, we often are asked what process was used and where. It seemed logical that we have a list of what processes were used to remove reactor internals, which reactor vessels were segmented or removed intact, and other aspects of nuclear reactor decommissioning and dismantlement. Click here to be taken to a table we have put together.